The Port Credit Yacht Club offers a variety of youth sailing programs to accommodate all ages and skill levels. 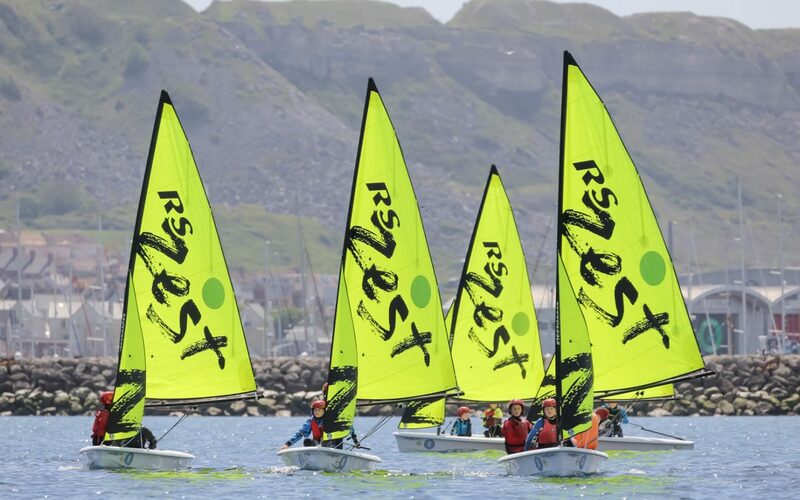 Whether you are joining us for the first time or working towards a CANSail level already; there is a fun and exciting sailing experience here for you! Sailing is a lifelong skill that tests a person’s physical and mental abilities from the first time stepping into a boat, until the last. The fundamental sailing skills taught in our program will enable youth to explore a future in cruising, racing or wherever their passion takes them. PCYC uses the CANSail Development model created by Sail Canada, the national authority for sailing in Canada. The CANSail model is a standardized system used by the majority of sailing schools in Canada, ensuring all are taught with the same tools. Each level has a suggested age, but children can advance faster dependant upon skill level. The following is a schedule of what our typical day in our program looks like, all times and daily activities are subject to change, and are weather dependent. Lunch is Provided for all participants! Wet Feet is our entry level course where kids get comfortable being around boats and on the water. We provide a safe, fun and exciting introduction to sailing giving the young sailor a chance to develop their fundamental sailing skills. This program has been launched across Canada, focusing on giving children between the ages of 5 and 8 an opportunity to sail. Days will be filled with a variety of different activities in addition to sailing, to ensure an enjoyable and well-rounded experience for all participants. Boating safety & swimming instruction included. 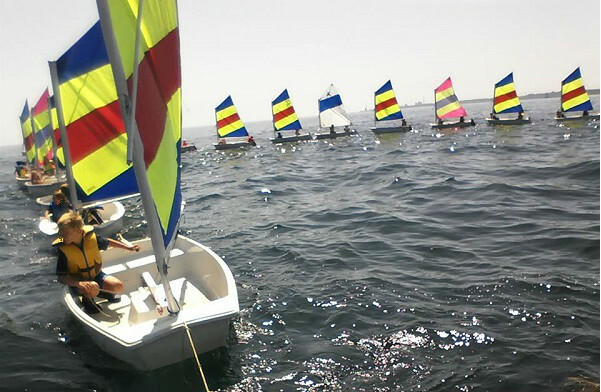 This is an introductory program to the sport of sailing with a focus on fun, safety and fundamental skills. We offer 2 levels fro CANSail 1&2 using our large fleet of 420s/Zests(11+) and Prams (8+). Lessons are creatively delivered by our team of qualified and experienced instructors both on and off the water. Programs are offered in two week sessions Monday to Friday 9 AM - 430 PM during July and August. Click to see specific dates and to register for the program. CANSail 3 & 4 progressively builds and develops the skills in CANSail 1 & 2, with a focus on keeping the sailor engaged with appropriate challenges and learning opportunities. The “Chutes and Wires 1” course will run concurrently with CANSail 4, in order to provide this fun and challenging spinnaker and trapeze work experience! CANSail 3&4 includes the opportunity for some local regatta participation (PCYC 's youth regattas - Steerers and Four Sisters etc.). Regattas may require some travel, and parents are needed for planning, chaperoning, pulling trailers, and assisting at regattas. Please note that regatta fees and travel expenses (transportation, lodging, food) are not covered in the program registration fee. Coaching will be provided at regattas. Programs are offered in 4 week sessions Monday to Friday 9 Am-430 PM during July and August. Click to see specific dates and to register for this program.